Simplicity is the key driving for improvements of our habits, especially when we talk about food. Let’s have a look at some easy tips to follow to eat (and feel) better. Avoid processed and refined foods, instead choose those unrefined and natural. Pretty obvious it isn’t? 5 words are needed to keep in mind when we are going to choose food: “eat whole and natural foods”. 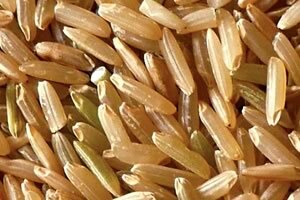 Some specific examples are brown rice instead of white rice, fruits instead of juice and organic wholemeal flour instead of refined flour. Cooking our own food. Cooking at home gives us the great advantage to know perfectly every single ingredient used in the process. We can not say the same for the “already made food” and for products eaten in restaurants. Make sure that raw foods, such as fruits and vegetables, exceed 60 % of our daily diet. Both of those aliments are fundamental for a good health and eating them not cooked ensure to preserve their precious nutrients. Drink a smoothie and eating a salad every day for few months. Starting the day with a smoothie is the right way and will help to make the right choice, in terms of things to eat, all day long. Avoid drinking too much calories. Drinks (even natural juices) do not take up much space into the stomach so it is very easy to take a lot of calories before we feel full. This also applies to smoothies since we can drink more fruits and vegetables than those we can eat before satiety. That’s why we must absolutely avoid carbonated drinks, even those so-called “diet drink”. They do not find any place in a healthy diet.